If your top priority is quality and performance, consider Janome 7330 Magnolia. This will be a good choice for people who are not worried about the price. Janome 7330 Magnolia is a decor computerized sewing machine. 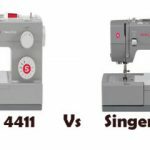 The number of stitches and the features suggest that this one is a beginners sewing machine, but the price definitely won’t appeal to a beginner. 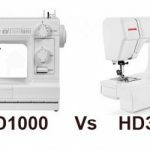 This sewing machine is built on a durable heavy duty metal frame. It weighs around 18 pounds, slightly on the heavy side I guess. It comes with 30 built-in stitches which include 6 1-step buttonholes. One good feature of Janome 7330 Magnolia is the memorized needle up/down. The machine will remember the position of the needle when you stopped sewing last time and it will set the needle in that position (really cool). It also has reverse and locking stitch functionality. You can control the sewing speed by moving the speed control slider, which means you don’t need your foot pedal to sew efficiently. The easy to read LED screen shows all the controls. 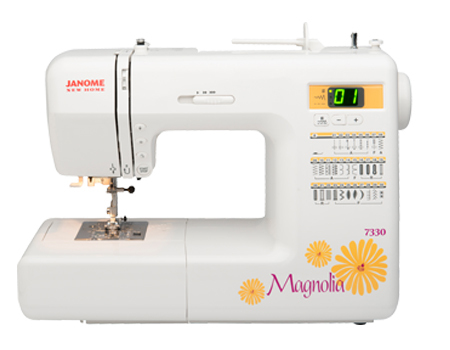 Janome 7330 Magnolia uses SFS (Superior Feed System) which does a fine job. The stitch width on this machine can be adjusted from 0-7mm and stitch length from 0-5mm. There is a built-in automatic needle threader and thread cutter on this sewing machine. Presser feet are snap-on. 7330 has a drop-in bobbin system. Janome 7330 Magnolia is a quiet machine. It is a sturdy machine and you pay the price for its quality. 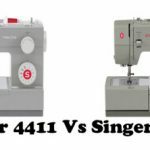 You can get cheaper machines with the same features but you won’t get the build quality of this sewing machine. Setting up this sewing machine is extremely easy, you can get the machine running out of the box in 15 min. The instruction manual is really helpful and easy to read. Threading was very easy, you just need to follow the instructions. For free arm sewing, you can remove the storage compartment. Memorized needle up/down feature is a blessing for quilters. It does a fine job with multiple layers of denim. I have tested it with 8 layers of denim and it punched through quite smoothly. It does an equally good job with light fabrics. The stitches are smooth and consistent on Janome 7330 Magnolia. The number of built-in stitches are to too less for the price. There should have been at least 50 built-in stitches. In simple words, you are paying the price for its quality not for its features. 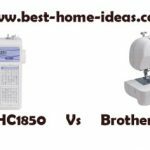 Normally when you are looking for a sewing machine, you will have two factors in mind, price and quality. Some have price as their priority,some other have quality and some have both quality and price as top priority. Janome 7330 Magnolia is for those people who have quality (alone) as their priority. 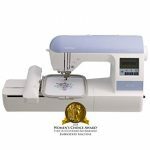 If you are not worried about spending some extra dollars for a quality sewing machine, try this one. You won’t feel disappointed.